Belly Song Press, 9780985266783, 312pp. Many forms of activism live within the margins of conventional strategies such as marching, speaking out, and fighting for one’s political representatives. 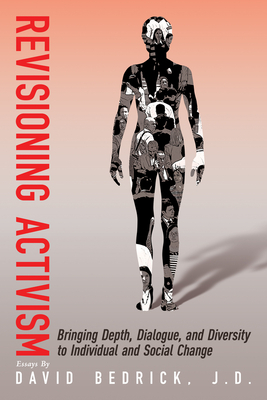 This book of essays highlights, celebrates, and broadens the vision of activism to include the intersection between people and the social and political world, while encouraging dialogue across diverse viewpoints and exhorting psychology to become a social-change agent. The author deconstructs racism by looking at white denial and divergent views of Dr. Martin Luther King, Jr., and he deconstructs sexism by critiquing the diet industry and the way women feel about their bodies. He brings this same psychological eye to understanding societal problems, national celebrities, and popular psychology’s failure to create sustainable change. Whether used in a classroom or with a group, a friend, or alone, this book provokes critical thinking, feeling, and dialogue. David Bedrick, J.D., is a teacher, counselor, attorney, and organizational consultant, having taught in organizations including the U.S. Navy, 3M, the American Society of Training and Development, and the Process Work Institute. As a practitioner of process-oriented psychology, a branch of Jungian psychology, he has worked with groups, couples, and individuals for more than 20 years. He is the author of Talking Back to Dr. Phil. He lives in Santa Fe, New Mexico.